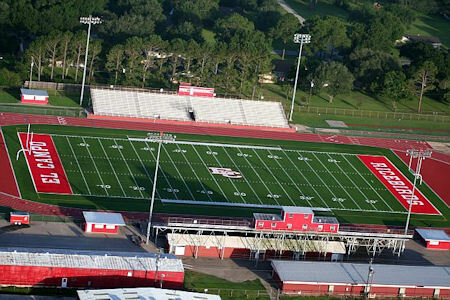 On the campus of El Campo High School, Ricebird Stadium is what Texas high school Friday nights are all about. Each Friday, the town will pack the home stands in red and white to support the Ricebirds. At key games (El Campo vs. Bay City, the states oldest rivalry) the stadium capacity will swell to a standing room only 11-12 thousand.